Did you notice something different in the new catalogue? Besides all the amazing new products, I mean! Since the contract with Becky Higgins and Project Life expired, Stampin’ Up! has introduced a new way of memory keeping with the Memories & More line of products! It still uses the binder system, with photo pocket pages and page protectors – all found on page 191 of the new catalogue. 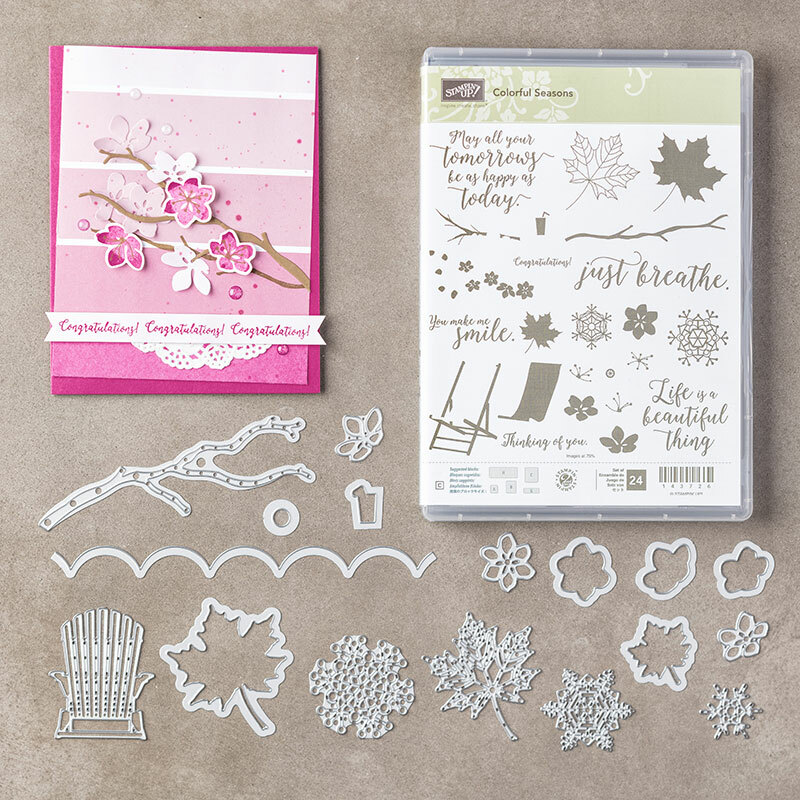 On page 192-193 you’ll find some amazing Memories & More Card Packs with different themes, many of them coordinating with stamp sets and products you’ll find in the catalogue. This is just gorgeous, isn’t it? This pack contains an amazing 72 double-sided cards; 52 are 3″x4″, 20 are 4″x6″. You also get cardstock sticker sheets, and printed acetate cards. You can use all of this not just for memory keeping, but also for creating card fronts and other projects! 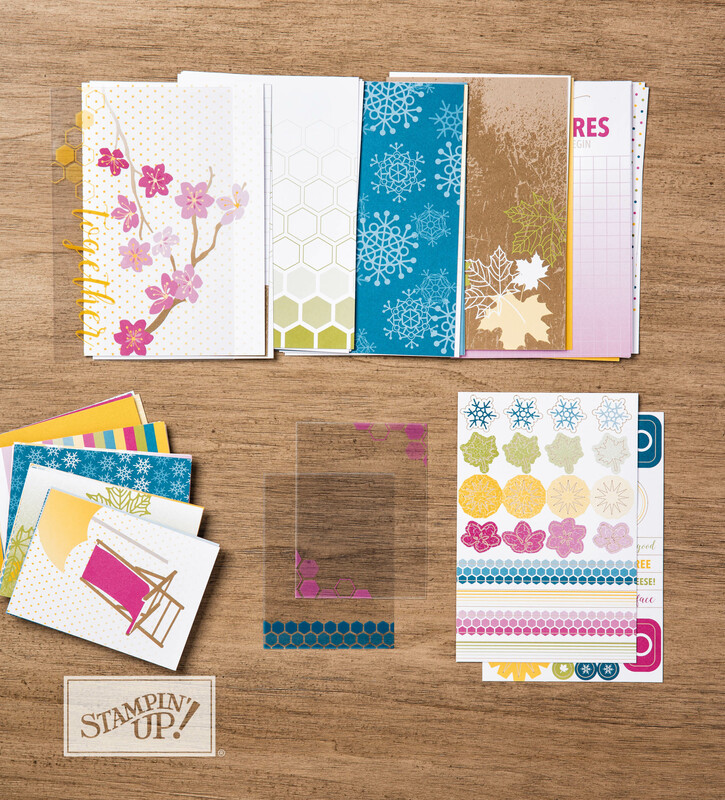 This is the Color Theory Bundle, which includes the Colorful Seasons stamp set, and Seasonal Layers Thinlits Dies. By purchasing the Bundle, you save 10%! A card that I made recently with this Bundle can be seen in THIS POST, and another one HERE. What products were on the top of YOUR ‘must have’ list? Leave me a comment, and I’ll let you know if it was on my list, too! These fabulous products are now available for you to order! Click on the images below to order if you’re within Canada, or email me at debsmart@stampandcreate.net and I’ll order for you.